By placing the CE marking on a product, a manufacturer is declaring his sole responsibility and conformity with all of the legal requirements to achieve a CE marking. If you are a manufacturer, it is your responsibility to carry out the conformity assessment, set up the technical file, issue the EC Declaration of Conformity (DoC), and place a CE marking on a product. For stage machinery and automation systems, BLUMANO supports manufacturers in compiling and validating the technical file, carrying out the mechanical, electrical and functional safety assessments and assisting with the conformity of all legal requirements related to the CE marking. 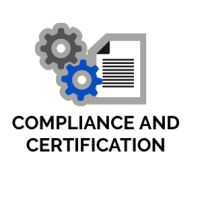 BLUMANO produces compliance assessments to national regulations – related but not limited to DIN, BSI, UNI, NEN technical requirements – and through a network of international partners, which creates the conditions for an approval process to take place. For devices, products, systems or installations that might require a third party certification; BLUMANO has collaborated with several European notified bodies and successfully achieved many type certifications on behalf of its clients. Our remarkable assessment approach comes from the comprehension of the safety implications, technical specifications and certification requirements related to extraordinary creative solutions. In entertainment installations, systems integrators function as a designer/engineer, bringing together a wide array of components from various manufacturers to accomplish the goal of creating a unified, functioning system that meets the needs of the client. For stage machinery and automation systems, BLUMANO supports system integrators in the design and validation of the assembly of machinery, and defining the legal framework the design concept must consider in order to be in compliance with the regulation requirements. We work with technical directors, designers and automation R&D departments in order to guide them in the choice of the correct technology suitable for the machinery’s intended use. Do you find the thought of creating a new project overwhelming? At BLUMANO, we can assist you in the development of new products or in the finalisation of existing development. From the idea process to certification, we have the skills to help your engineers and marketing experts make the right choices for each industry standard and directive. This minimises the project length and provides a complete package of documentation and certification for your product. Sensors: Encoders, Safe-edge, Magnetic Sensors, mechanical limits. Inverters: Induction Close Loop or Open Loop solutions, or servo motors, mains or battery powered. Safety relays: time-delay, dual-contact relay, cost effective solution, leading brands on fix-functionality relays. Fail-safe PLCs: programmable PLCs, wire or wireless communications. Actuators: Mechanical relays, contactors, solid state relays. Industrial communication: Ethercat, Profinet, ProfiSafe, Profibus and Modbus Solutions. Idea concept – Helping you to make the right choices for a specific market right from the start. 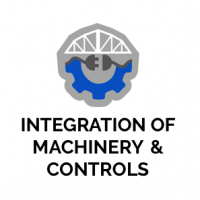 From the idea concept to the engineer detailed specification, we target the key points for the machinery directives and industry standards. 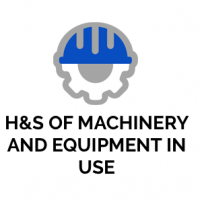 User Required Specification – From the idea concept to the engineer detailed specification, we target the key points for the machinery directives and industry standards. Functional Analysis – System interconnectivity is a key factor to consider, since keeping legacy product support is also important. BLUMANO can help create a clear and simple block diagram to understand the scale of the project and analyse the URS achieved. Optimal Design – BLUMANO works with the best industry experts to produce schematics and drawings, working with your team of engineers to achieve the perfect in-house design. Prototyping – From design to prototyping and back to design to achieve the perfect solution. Commissioning – Testing of final product to ensure all the initial targets are met. 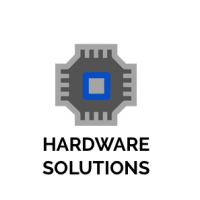 Assistance in the commissioning of existing hardware to achieve the desired solution. Documentation – Our team of writers and designers will help you with the design and text needed to fill all the gaps in your existing product user manual, thus complying with industry regulations. Certification – Finalise the project development, and achieve the desired approval level from a certified body. Do you find creating a new project an overwhelming task? At BLUMANO, we can assist you with the development of new products or with the finalisation of existing development. Product Analysis – We analyse the product or product family, its market and your company’s goal to create a picture of what would be required to obtain the desired product certification. URS – To understand the safety analysis, BLUMANO can supply the User Requirement Specification for every product’s individual usage scenario. BLUMANO also defines the necessary safety functions, the level of each one and to which standards they will comply to. Software Analysis – Our experts can advise on which path will be best when it comes to analysing software and to determine if it interferes with the safety path. 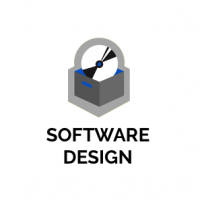 Our experts can also analyse your software and determine the necessary steps to get it approved (Software Certification). Hardware Analysis – Failure Mode, Effects, Diagnostic and Analysis (FMEDA) is a methodology designed to identify potential failure modes for a product or process, and to assess the risks associated with those failure modes. BLUMANO can provide FMEDA for products and analyse the consequences of possible failure conditions in the different components of machinery. 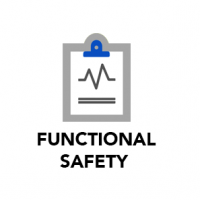 Safety Integrity Level – Based on industry standards and other variables, BLUMANO obtains the safety Integrity level for each individual safety function listed in the URS, from SIL1 to SIL3. HAZOP – BLUMANO complements the FMEDA analysis with a list of hazardous cases to be considered outside of the FMEDA calculation, but within the safety analysis. Safety Integrity Level – Complete documentation for each product and all the individual safety functions listed in the URS ready for approval. Product approval – Final step. BLUMANO supplies the documentation analysis ready for the approval process, and liaises with the major certified bodies to obtain product approval. BLUMANO supplies the documentation analysis ready for the approval process and liaises with the major certified bodies to obtain product approval. Neglect and failure to follow the most elementary safety rules are the main causes of accidents that involve those responsible for using scenic equipment; with greater or lesser consequence. Many different types of machinery are used alone and together in the entertainment industry, and equally numerous are the types of possible injuries connected to their use. Each machine poses a complex and specific set of risks involving not only the performer but in many cases also the audience. Before using high technology equipment it is recommended to carry out a deep and effective survey of all factors involved such as environment, interferences, supervision and safe working procedures. • Maintenance procedures and machinery safety management. Being involved in many international projects, BLUMANO has attained international accreditation and recognition. 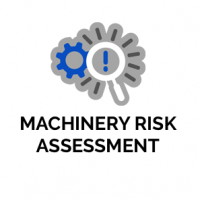 A risk assessment is ultimately the core of a machinery technical file, it is the reference to define the suitability of a mechanical design, the adequacy of a control system solution or the appropriateness of an organisational measure. By performing a risk analysis, you identify the relevant hazards related to the machinery, its causes and the potential consequences. With the allocation of the risk origins and associated hazardous events it is possible to refine and contextualise the analysis within a specific application. To complete the analysis, a risk estimation needs to be performed: all the elements of the risk must be assessed and scored to establish its magnitude. Only at this point can a risk evaluation lead toward a sustainable risk reduction strategy, if needed, in accordance with EN ISO 12100 three-steps methodology. BLUMANO is experienced and specialised in assessing machinery, assembly of machinery, flying performers installations, scenic movements and lifting operations within the entertainment industry. Our approach and expertise covers both manufacturers and user’s risk assessments obligations and guides them towards the correct use of chosen risk reduction measures. We believe a solid risk assessment is a team-work achievement, rather than a formal “copy and paste” exercise; it is a process that provides awareness and understanding of the limits and opportunities of your installation. Besides the fact that a machinery risk assessment is a mandatory requirement of Machinery Directive 2006/42/EC and Low Voltage Directive, safety-wise no matter if you are a manufacturer or an end user, this is the only opportunity to get full control of your creation. BLUMANO software design and implementation is made for the entertainment industry, from PC and Mobile Application to embedded applications, motion control inverters, PLCs and Safety PLCs. Our team of experts will help you design the application from concept to prototype and commissioning. SS1 – Ramp-down to stop then disable, monitored or time-based, generally used in E-STOP scenarios. SS2 – Ramp-down to stop, used in enabling switches, DMH or GO buttons. Our team of experts will help you design the application from concept to prototype and commissioning. The correct input, competency and efficient approach are the basis to enact the necessary design checks, calculations and checks on information and instructions to ensure the conformity of the machinery with the relevant requirements due to the machinery and construction directives. Atypical and advanced visualisation of the results helps the design team to make the right choice in the project development. The design of the machinery and structures, including not only strength but also stability calculations, must take into account the risk assessment results. Since an accurate engineering approach depends on atypical fields, the calculations must be based on competent hypotheses. These hypotheses are related to the suitable standard and safety coefficient, such as the correct wind loading analysis or operational cycles fatigue. The purpose of the above requirements is to ensure that the machinery and the structure will not suffer damage or be unsafe while it is used in an atypical application within the entertainment field. BLUMANO surveys are based on Eurocode, European and North American standards in order to have international recognition and acceptance. 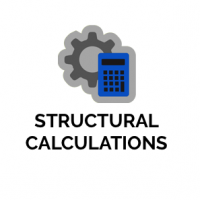 Our structural reports are based on Eurocode and Limit State Design (LSD) to provide accurate design support. The technical solution may be developed in accordance with general engineering or science at the discretion of the manufacturer. Frequent design improvements and changes to the original design require the manufacturers and suppliers to seek engineering approval from independent third parties. This process allows flexibility and gives manufacturers choices for how to achieve the project requirements with speed and ingenuity. 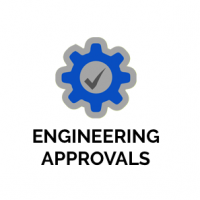 Not only during a project development but also before purchasing a product, an engineering approval ensures that the standards, tender and project requirements are fulfilled. Stage machinery and structures are frequently temporary installations, due to the global nature of the business. Where a standard approach covers only part of the project requirements identified as applicable by a manufacturer, or only certain aspects thereof, BLUMANO can bring forward a multi-skilled approach with international accreditation and recognition in order to minimise the residual risk of failure. • Written reports to help to keep track of the design changes during the course of the project. • Risk assessment to focus and understand the weak link. • Process flow diagrams to update the project.